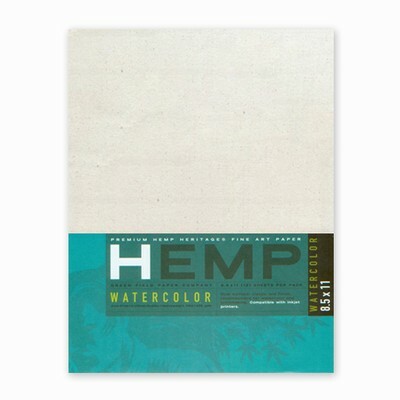 Our premium Hemp Heritage paper is now available in this extra heavy 110#(300 gsm) watercolor weight. Watercolorists love the rough texture on both sides of each sheet. Available in 8.5” x 11” and 11” x 14,” each pack contains12 sheets. Natural white color. Acid-free, chlorine-free and archival quality. Inkjet printer compatible.